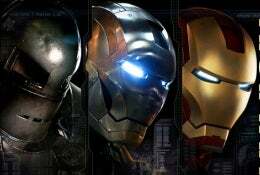 "Iron Man" will be presented as an option to consumers as part of Dell's personalized purchasing process, which allows buyers to customize virtually every facet of their PC from such essentials as storage capacity to stylistic touches like laptop-cover artwork. The Paramount/Marvel Entertainment film would be preinstalled on Dell's Inspiron, Studio and XPS laptop and desktop models. While Dell is getting started with "Iron Man" as a preload, the company eventually will broaden the selections as it signs other studios. In time, Dell likely will enable consumers to purchase films after they've bought computers, too.